The European Commission is trying to carve a mediator role for itself in the global debate over the future of internet governance, taking its distance from the US but also from the idea of a United Nations’ leadership of the Web, supported by Russia and China. With global negotiations over the future of the Web in a standstill, the EU made its position clearer yesterday (12 February). Neelie Kroes, the EU?s digital agenda commissioner, presented a strategy calling for a “clear timeline for the globalisation of ICANN,” the US-backed, non-profit corporation which de facto runs the internet. France has promised to bring its public deficit under 3% but the Court of Auditors doubts it can be done. There was no room for optimism in the latest annual report from the French court of auditors on France?s ability to bring its public deficit under 3% of GDP. Demonstrations have spread rapidly across Bosnia, with citizens organizing popular assemblies to voice their frustration with the country?s institutional paralysis. Through the adamantly non-ethnic nature of the demonstrations, the protesters are taking aim at the entire political elite. Valerie Hopkins reports from Sarajevo. On Friday afternoon, less than 24 hours after a Sarajevo canton?s premier declared that the people of Sarajevo would not riot because there was ?no hunger? in Bosnia?s capital, his administrative building was in flames. So was the presidency and 16 other government buildings across the country, in what has been the worst episode of violence since Bosnia?s 1992-1995 war. From Ukraine to the Balkans, the last twenty-four years have witnessed political elites preaching democracy while surreptitously undermining every single democratic institution, atomizing individuals through economic hardship and reducing freedom to a fake political independence. The head of the Greek police was secretly recorded saying that asylum seekers who land in Greece must be made to reside in “unliveable” conditions before being “repatriated”. The recent Commission report on corruption in the 29 member countries reveals a difference how older and newer EU member such as Romania deal with corruption, writes Sabina Iosub. Sabina Iosub is a journalist and anchor of ?Previziunile Zilei? (the Day?s Predictions) on Antena 3 television in Romania. The power may corrupt! This statement is as old as politics is. Historians believe that the first corrupted politician was the leader of the prehistoric man tribe. Greek minister slams Troika, says surplus will be ?big surprise? Greek finance minister Yannis Stournaras attacked the Troika for its austerity prescriptions, saying a primary budget surplus will be announced soon and will be much larger than expected, EurActiv Greece reports. The Swiss government said today (12 February) it would draw up a draft law to limit immigration by the end of the year, after Swiss voters narrowly backed proposals to curtail the number of migrants from the European Union. Germany’s constitution: Who’s protecting whom? 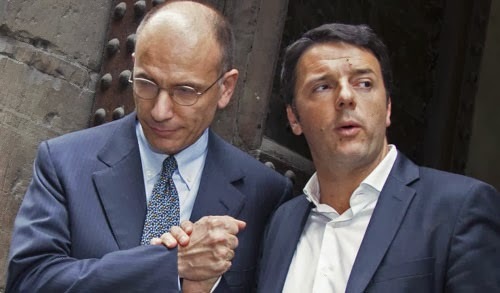 Italian PM Letta has resigned: What happens next? Earlier this month the South Korean export agency announced that, following an international campaign supported by Campaign Against Arms Trade, they would cancel a shipment of 1.6 million gas canisters to Bahrain. This sets an important precedent which Europe should be following. “In my eyes, there is nothing in the Scandinavia model that suggests that we cannot compete. Actually, there is a lot to suggest that we are the most competitive social model on earth”. Interview. Despite official denials, evidence has emerged that the Home Office has deliberately waited until UK citizens it plans to deprive of their citizenship have left the country. This requires no judicial approval?and greatly hinders any appeal.